1927, model Reproducer 415 is a magnetic loudspeaker, manufactured by Stewart Warner Corporation, Chicago, ILL, USA. 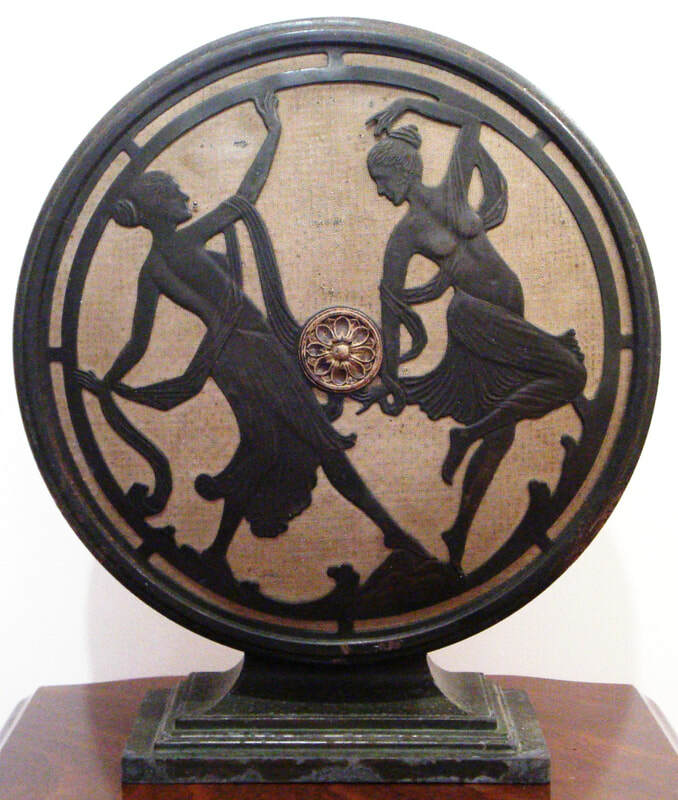 It is a metal case with front design of two dancing ladies. Dimensions: Height 350mm x Diameter 180mm.